Specializing in manufacturing french doors, bi-folding windows and doors, shopfronts, bay windows, sliding windows, double hung windows, double glazing, entrance doors and sashes. At Westpine Joinery, we strive to achieve customer satisfaction on all work that we do, and guarantee a high level of commitment and service to all our clients. Manufacturing french doors, bi-folding windows and doors, shopfronts, bay windows, sliding windows, double hung windows, double glazing, entrance doors, sashes, and any other joinery requirements. Providing a fast and efficient no cost quoting service to all areas. Working with various timber species, ie. pine, rimu, cedar, kauri, macrocarpa and other timbers where practical. Cost effective prices with unsurpassed quality. 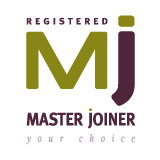 Manufacturing architectural joinery with experienced tradespeople. At Westpine Joinery we manufacture all our doors and sashes in our own factory, therefore we have the flexibility in making joinery to the exact specifications that you require. Generally speaking, cedar gives the best results for timber joinery. This timber has superior factors over the more common pinus radiata (pine), including better stability, strength and lightness. We are more than happy to provide a quote in most other timber species included. We hope you enjoy browsing through our website and take advantage of our expertise and knowledge of the Timber Joinery Industry. Used these guys for some joinery in my Bungalow that we are renovating and have to say they were amazing even managed to have there glazier match the glass in the top quarter windows exactly. Fast, efficent and affordable service. Thanks Westpine! We’ve used Westpine on a number of occasions and have always found the service friendly, attentive, knowledgeable and well priced. Wouldn’t hesitate to recommend. Salamander Build has been using Westpine Joinery for the past 6 years and we cannot speak highly enough of Donny and his team. We find Westpine to be extremely professional, to have the best quality joinery at affordable rates and always meet our deadlines even when put under pressure to deliver. I would recommend this company to everyone. The service was superb, the product superior quality and up to my high expectation, excellent communication and overall a pleasant, hassle free experience. We will definitely deal with this company again and will be recommending it to all our friends and family. Custom made French Doors, quality workmanship provided exactly to our specifications. We’ve ordered more and wouldn’t hesitate to use this company again. These guys make nice french doors. I’ve had a couple installed now. Worked out similar to having the old ones fixed in price but got new doors to show for it. Excellent advice, quality workmanship – would recommend. We received fantastic service – and a quality product from Westpine. It would be fair to say that I was nervous purchasing these from wgtn, with no prior knowledge of the company, however they were price competitive (even with transport costs) and the quality is great. Even our builder was impressed! Will definitely be using Westpine for future door and window purchases. After dealing with this company, I wouldn’t hesitate in recommending them. The 2 sets of french Doors were delivered when they said they would, and exactly as specd.. Awesome. Very helpful team, great looking doors, and it was cost effective to ship them down to Wellington. Would buy from them again. Excellent service, I am a builder and these french doors are quality joinery items even made to suit my measurements at no extra charge, will definitely recommend, thanks! Excellent service and pricing, excellent advice. Recommend. 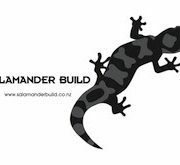 Hi Guys, I’m a builder from the Hawkes Bay and have used these guys for a number of my jobs now and have had great results. All units have been custom made, delivered to site and have been accurate. They are professional and easy to work with long distance. Thanks team. Westpine Joinery get the thumbs up from me joinery arrived on time awesome product, high quality construction and a great price. I would recommend their product every time. Thanks! Hi folks, great response to my initial inquiries, quality product to my door no hassles. New better product cheaper than Demo yards Recommend to anyone. Very happy with our doors! Can’t wait for them to be put in! Great services all the way from quote to finish – highly recommend and would use again! It is a pleasure to deal with a well run business. The customer service was great, it was nice to meet you, the delivery was on time, documentation was all correct and the jelly beans were a nice touch! I would be happy to recommend you and to deal with you again if needed. © Copyright - Westpine Joinery. All rights reserved.